Meet Sherif Elkhatib, our Application Engineer new to Easter-Owens. Sherif can inject himself right into the process and help the team work towards a more effective solution. Prior to joining the workforce, he earned his degree in Mechanical Engineering from the Colorado School of Mines, where he was heavily involved in the Minority Engineering Program and the National Society of Black Engineers. Sherif started his career at the beginning of 2010, as a Wellbore Analyst for a family-owned company in Loveland called Peterson Energy creating detailed wellbore diagrams in the Long Beach Oil Field. He eventually left Peterson for Halliburton, where he served as a field engineer in the Denver-Julesberg basin for Production Enhancement. The hours were long and the training was challenging, but it was a position that taught him to appreciate a good work-life balance and to value the efforts of skilled operators. Need an estimate on a project? We're the team to for you. From design to manufacturing, we'll help you every step of the way. Sundyne was the next stop for Sherif, where he was brought on as an Applications Engineer for high-speed centrifugal pumps. The goal as an Applications Engineer was to deliver an offering to the customer that fit their needs, while meeting the provided specifications. Aside from quoting, Sherif was interested in continuous improvement projects through Lean Manufacturing initiatives – an approach he follows at Easter-Owens. Sherif’s position at Sundyne was a fantastic introduction to Manufacturing. Applications Engineering requires personnel to answer (and ask) questions that relate to the entire streamline of the process. This lends itself to the principles of Lean Manufacturing, which encourages employees to ask “How?” and “Why?” certain processes were done. He joined Easter-Owens in July 2017 as an Application Engineer. He is constantly focused on continuous improvement through Lean Manufacturing initiatives which significantly benefit the organization. 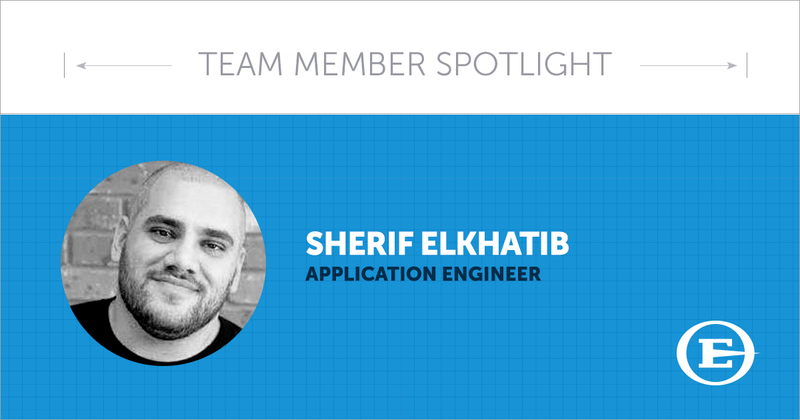 Outside of work, Sherif enjoys spending time with his wife and dogs. He is a passionate fan of music, video games, comic books, and basketball – especially the hometown Denver Nuggets. Sherif also enjoys giving back to the community, tutoring and mentoring middle and high school students near his hometown Aurora. He has also taught Project Management, IT, Advanced Manufacturing, and 3D Printing classes for talented inner-city youth in Denver. Would you like to work with Sherif? Contact us about your next upcoming project.